Enjoy your rest a little more with the Sleep Sound Therapy Machine. The machine produces regular, harmonious and repeated white noises and masks unwanted sounds, creating a calming sound environment. With the help of this machine, it will be easier for you to concentrate, relax, and ease into a restful sleep. Say goodbye to the disturbing noise that interrupts your day and night. The Sleep Sound Therapy Machine will effectively block unwanted noise. 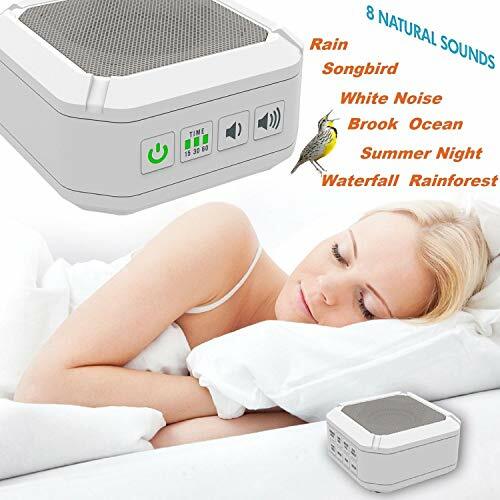 Featuring ten distinct sounds, the white noise machine guarantees a sound you’ll enjoy. Simply adjust the sound type and volume to suit your needs. It’s a great choice to lull babies to sleep and aid those who are hypersensitive to noise. It can also be used in a noisy office environment, providing a better working environment and efficiency. PORTABLE DESIGN – Great for travel!